Harry ross (1933-2014) had a distinguished career as a bird and decoy carver in Norway, Maine and Saybrook, CT. Early in his career he was collected by such celebrities as Clark Gable, Roy Rogers and Ernest Hemingway. 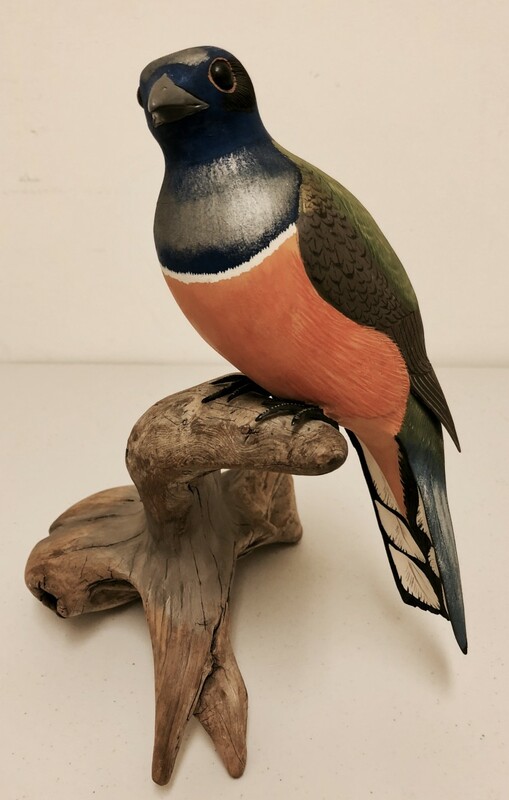 This bird is a “Gartered Trogan” signed by Harry Ross and dated 1977. A large and very colorful bird!